This is a 5 pack of 8in Mini-DisplayPort 1.1 to DVI-I (29 pin) male to female black adapter cables for connectivity between display devices. This part can be used in both digital and analog environments. 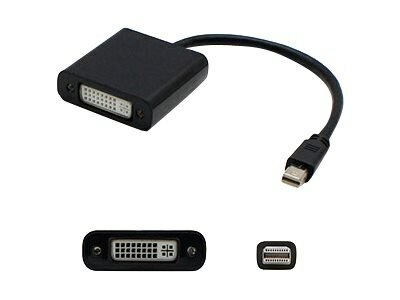 This part is designed to fit your application needs by providing Mini-DisplayPort 1.1 to DVI-I (29 pin) connectivity.